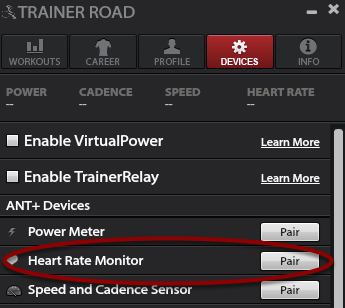 This article will show you how to set up TrainerRoad to record your heart-rate readings. 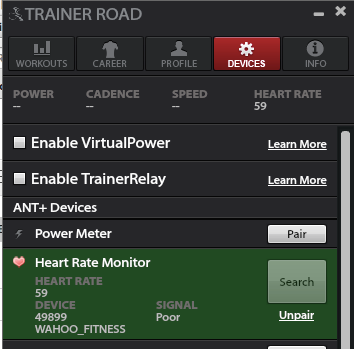 Commonly used ANT+ Heart Rate Monitors include the Wahoo TICKR and the Garmin Heart Rate Monitor. What do I need to use ANT+? 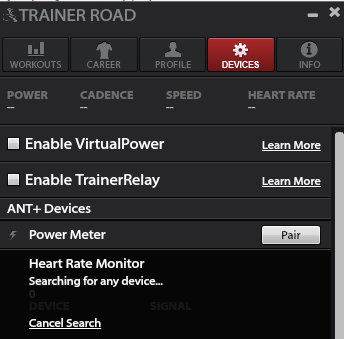 Make sure have everything you need for ANT+ connectivity with TrainerRoad. 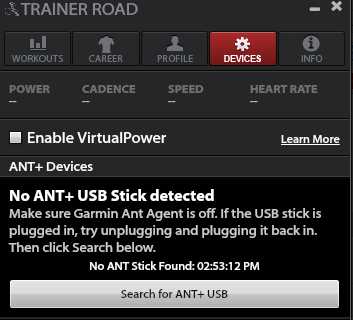 Make sure your ANT+ stick is plugged in and working so TR can pick up readings from your HR monitor. Your HR Monitor is Paired! Tap the heart rate device to initiate pairing. Once the border turns green the device is successfully connected and you are ready to ride! If your having problems with your ANT signal, Check out our ANT+ USB Troubleshooting Article.